Support TheOtherCast on Patreon to get access to monthly outtakes, and more! TheOtherCast is an RPG Actual Play podcast, with multiple active shows! 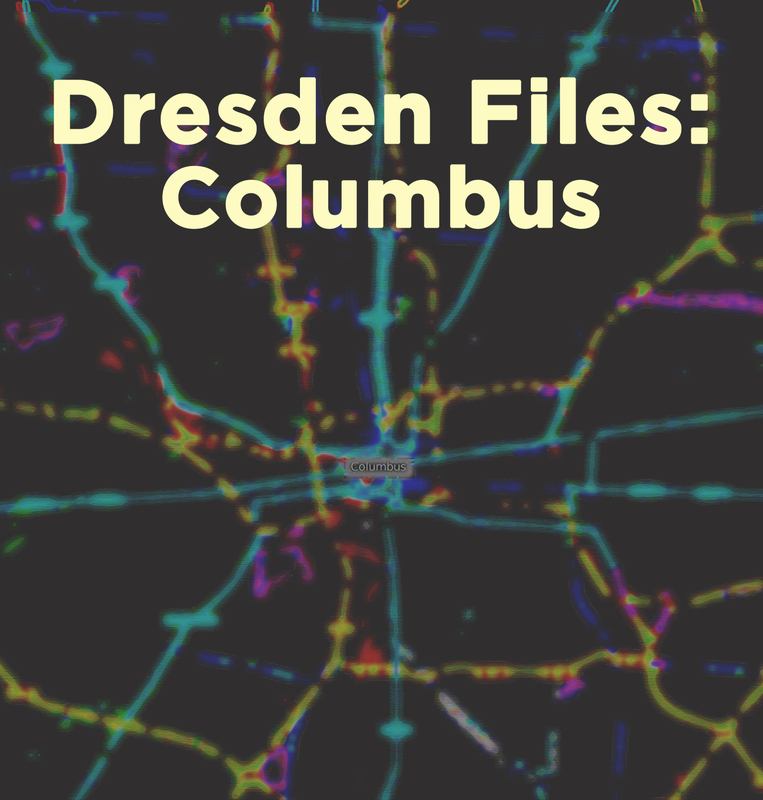 Our first game, Dresden Files: Columbus, is a Dresden Files Accelerated game, run by Tracy Barnett, and played by Jason Flowers (Aidan), Jared Anderson (Miles), Talcott Starr (Gene), Jeff Kinter (Eve), Ben Menard (Wolfguy), and Elissa Leach (Lunchbox). Our second show is The Zakros Span. This is a D&D 5e game using a homebrew setting we made as a group. It’s a campaign we’re coming back to after a long hiatus, which corresponds to the characters coming back to their home city after a similar amount of in-game time. There’s a lot of backstory that gets shared out in-game, which is a lot of fun. The players are Tracy Barnett (Morthos Random), Ben Menard (Findala), Jeff Kinter (Cora), Jessica Logan (Elatia), Jason Flowers (Antenor), and Talcott Starr (Dripsnout Frackle). This game is run by Jared Anderson. Our third game is Sigil Confidential (sequel to Fate of the Planes), a Planescape game run using a drift of Fate Core. This is a smaller group of players, so we get a lot more interpersonal interaction and slice-of-life play. It’s been described as “incredibly charming.” We enjoy it a lot. It’s played by Talcott Starr (Alistair Alloysius Alabaster, Esq. ), Elissa Leach (Marlowe Graves), and Jessica Logan (Rhogar “Hans” von Zovarovich IV). We also have a bonus monthly show called Bragga’s Brews. This show was unlocked as a goal on our Patreon! It features the crew of our first show, Star Wars: Rogue Trader, discussin a business opportunity one of them has brought to everyone else. It’s system-free and designed to give everyone a little bit more of the crew we all love. We’ve got a couple of series which have wrapped up, but you can still listen to them. Join the crew of the Sunrunner as they go from small-time criminals to something-other-than-small-time criminals! This was the series which started it all. Please to enjoy. The precursor to Sigil Confidential explores how our investigators came together, and see them face off against an arch-devil who can control an entire plane of existence. Find out how Marlowe, Allistair, and Hans became the friends they are now!